Another video has surfaced showing the Kano State Governor, Abdullahi Ganduje in black Kaftan collecting alleged bribe from a contractor. The latest video (the third) shows Ganduje, speaking with his guests while receiving documents and stacks of dollars. The footage also exposed the names of the contractors, projects and the voice of the purported bribe giver. It also has the translation in English with dates and timelines. This time around, Governor Ganduje appeared in Black Kaftan. Unlike the previous videos officially released by Daily Nigerian, the latest is suspected to have been released by other parties who could have had access to them after copies were released on request to security agencies and Kano State House of Assembly. Meanwhile, the Editor-In-Chief of Daily Nigerian, Jaafar Jaafar denied releasing the current video. 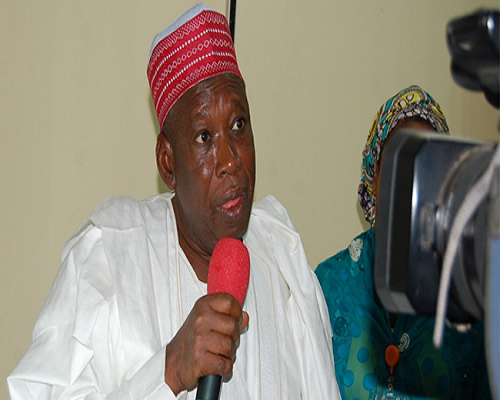 “I swore an oath with the Holy Quran before tendering the several videos at the Kano State Assembly and I could not have been responsible for the current video trending on social media. “Therefore, Daily Nigerian did not release any other video after the appearance before lawmakers,” Jaafar said on Wednesday.